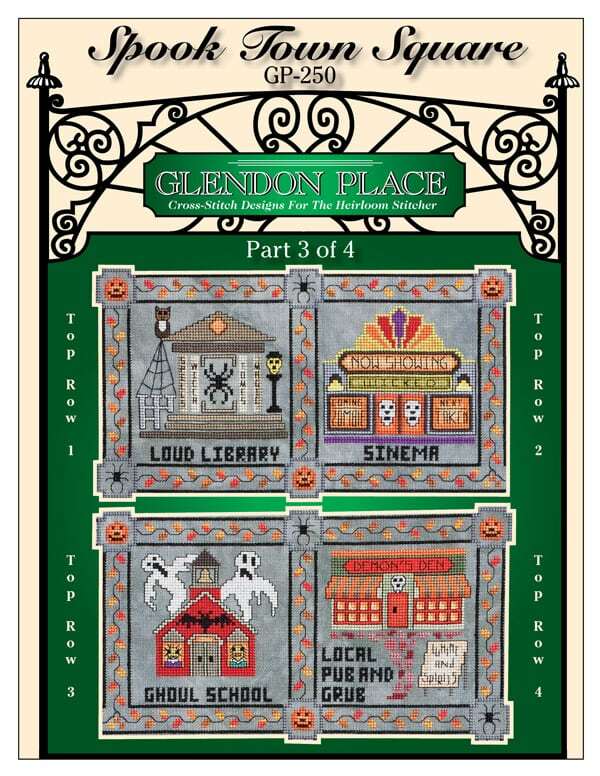 General Information for the entire design: Spook Town Square is a Halloween design that rolled out in 4 parts. 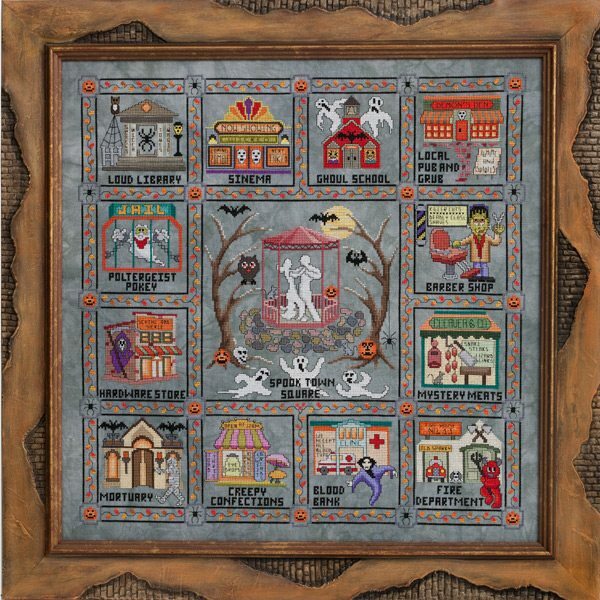 It is a depiction of a small Halloween town with the gazebo in the center and all the little shops arranged around the gazebo kind of like a town square. A total of 81 colors of Sullivans floss and 2 colors of DMC Color Variations floss were used in the model. DMC and Anchor comparable colors are provided in the chart below. General Information for Part 3 of 4 of the design: A total of 43 colors of Sullivans floss and 1 color of DMC Color Variations floss were used in the model. Fabric: Stitched on 28ct Tarnish Cashel Linen hand-dyed by Picture This Plus. If stitching the entire design, a piece of fabric 26″ X 26″ will be needed, or 1/2 yard (26″ X 36″). Design Area: For the entire design is 19-3/4″w X 19-3/4″h. NOTE: An asterisk (*) indicates those colors used in Part 3 of 4.